This Thanksgiving, Blue Sky Studios and 20th Century Fox will team up to bring audiences the first-ever big screen Peanuts adventure that (go figure) is simply titled The Peanuts Movie. Personal opinions aside, it is interesting to note that as the movie’s debut nears, so is Warner Brothers’ home entertainment division–Warner Home Video (WHV)–stepping up its re-issues of the classic Peanuts TV specials. Already released this year WHV has re-issued Race For Your Life, Charlie Brown. Officials with WHV have also announced that the organization will also release Bon Voyage, Charlie Brown (And Don’t Come Back) and He’s a Bully, Charlie Brown along with the company’s new compilation set Peanuts: Emmy Honored Collection. The latter of the trio is currently planne for a nationwide release on Tuesday, September 15th. Though, interestingly enough it has already been released through Target likely via a special deal between the retailer and the people at WHV. For those that were not lucky enough to pick up the dual-disc collection in its original release via Target will be pleased to add it to their personal collections. The main reason that audiences will be pleased to add it to their collections is its featured specials. It features eleven classic Peanuts TV specials that while previously released on one platform or another are now collected into this much more ergonomic collection. This will be discussed at more length shortly. Another reason that the collection proves so interesting and worth the purchase is the material presented within each special. Audiences actually get to hear an adult talk for the first time ever in one special (She’s A Good Skate, Charlie Brown). And while most audiences are familiar with the classic Peanuts holiday specials, some will be surprised that there is another holiday special of sorts that is just as deserving of attention in the form of What Have We Learned, Charlie Brown? This special is a deeply moving Memorial Day special that will impact viewers of all ages. Last of note in regards to this collection’s positives is that classic hand-drawn animation style. The old school style of artwork is yet another example of what once made animated features truly animated and in turn truly entertaining. Each noted element shows in its own way that Peanuts: Emmy Honored Collection is a surprising new release from WHV. It would be nice to think that maybe it marks the beginning of WHV finally moving in the right direction after having slid in the wrong direction for the past couple of years or so. One can only hope. Even if it is just a random diamond in the rough from the once powerhouse studio, it proves through all three noted elements together, to be one that any Peanuts fan will happily welcome into his or her home DVD library. Warner Home Video has been noticeably declining over the course of the past two years or more. That is evident through every one of its releases both for families and for select audiences. Said releases have shown that someone(s) at WHV apparently did not and does not care about providing audiences with quality home releases. For all of the problematic releases that WHV has put out in stores over the past couple of years or so, finally a random diamond in the rough from WHV will be released very soon in the form of the new Peanuts collection Peanuts: Emmy Honored Collection. 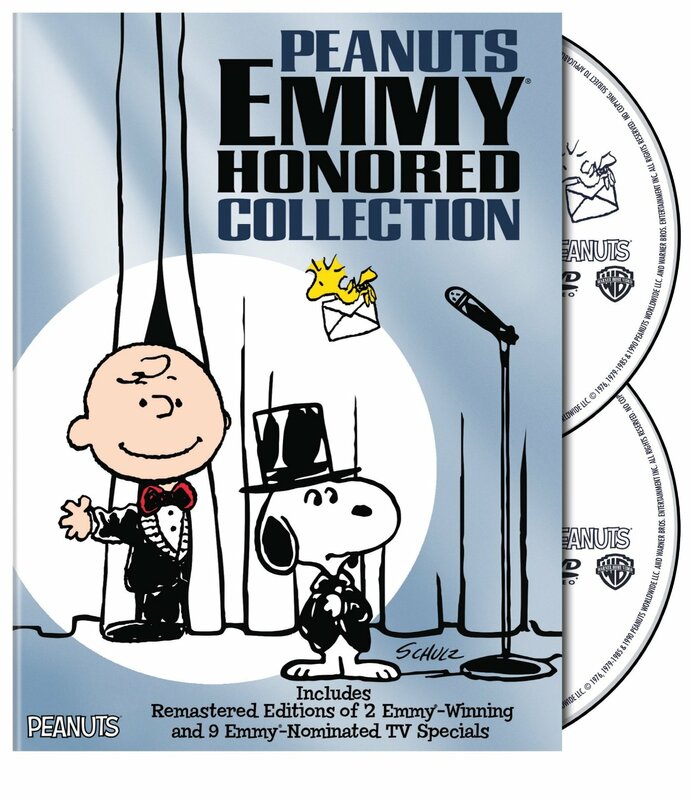 This collection of TV specials includes eleven classic Peanuts TV specials that some of which were nominated for Emmy Awards while certain others actually received the coveted trophy. It should be noted that all eleven of the specials featured in this new double-disc collection have each previously been released via one platform or another. Some have been released on VHS while others have previously been released on DVD. Others have even been issued and re-issued on one platform then another. Despite this, some viewers out there might not have been lucky enough to add one, another or more of the featured specials up until this point. That being the case, all eleven specials show collectively to be of the utmost importance for all viewers. That is because more than likely among the legions of Peanuts fans around the world few to any likely have all of the included specials. The inclusion of each of its specials in one collection is good for Peanuts fans everywhere in large part because having them all in one place means just that. It means that for the first time ever each one of the specials has been finally released on one platform on which all audiences can watch them. No one is left behind. On another level, for those that had one or more of the specials in question from their previous releases can finally eliminate those platforms (or at least most of them if they own the original VHS copies of said specials). That will ultimately lead to saved space for many fans on their respective DVD racks. Again, this might not apply for every Peanuts fan. But it will definitely apply to many fans. And that being the case, it makes the collection’s ergonomic factor that much more important to the whole of its success and enjoyment. The episodes presented in Peanuts: Emmy Honored Collection show clearly why they are within themselves quite important to the whole of the collection. Examining the episodes on a closer level, ther writing shows to be just as important to the collection as the episodes themselves. In examining the specials’ writing it becomes clear why they were either nominated or in some cases even won an Emmy. That is most evident through the surprisingly moving special What Have We Learned, Charlie Brown. This sequel of sorts to Bon Voyage, Charlie Brown (And Don’t Come Back) follows Charlie Brown and company on their departure from France. Along the way, the Peanuts gang happens to arrive at Normandy and the site of the Allied landing on D-Day. The history lesson provided by Linus upon their arrival is unbiased and moving all at the same time. The writers don’t pull any punches here, revealing that the Allied attack on Normandy was in fact anything but perfect. Linus notes in his lesson that weather conditions had ruined the mission so much that Allied commanders even considered pulling back. That is a lesson that sadly very few history teachers and professors alike will teach in the classroom. So it is nice to have that historical truth noted in a special that is aimed at younger viewers. In another of the collection’s episodes, She’s A Good Skate, Charlie Brown, audiences actually get to hear an adult speak for the first (and probably only)time in the history of the Peanuts TV specials. The adult in question is Peppermint Patty’s teacher. She continuously calls on Patty as Patty continues falling asleep in class thanks to her early morning skating practice. Yes, skating. That is another reason that the writing in this special proves so notable. Anyone that knows their Peanuts history knows that Peppermint Patty is more of a tomboy than a girly girl. Heck, she was even voiced by males in a number of the specials. So having Patty taking part in a sport that is traditionally more aimed at females than males shows a completely opposite side of Patty and to the Peanuts universe in whole. It is a change that all audiences will agree now in the 21st century is a welcome change. It shows that it’s okay for a girl to be girly and one of the boys. Simply put, it really serves to defy those strict, standard gender roles established by society. Whether or not that is the reason that it at least received an Emmy nomination, it is one more reason that the writing behind this special stands out so strongly as one more part of the whole of the collection’s writing. Why, Charlie Brown, Why? is perhaps the strongest evidence of the importance of the writing behind the collection’s featured episodes. This episode tackles the issue of cancer. On a more specific level, it tackles the issue of childhood cancer and the impact of cancer on both the victim and his or her friends and family. Its story centers on a young girl named Janet who is diagnosed with leukemia. It just so happens that she is friends with Linus and the rest of the Peanuts gang. Though, Linus is the main character of this story. That side element of the story’s writing will be discussed shortly. Sticking on the main topic, the manner in which the writers tackled the subject is hugely worthy of applause. It was handled with the utmost gentility and in a fashion that also made the topic accessible even for much younger viewers. That in itself makes this special more than just a special. It is special in every sense of the word. It’s just one aspect of the special’s writing that makes it so notable among the others included in this set. The fact that Linus was made the story’s central character makes it even more worth the watch. It’s not the first time that Charlie Brown took a back seat to his Peanuts pals. But it is one of the most successful episodes that featured someone other than Charlie Brown at the center of the story. That is especially the case as audiences see Linus actually lose his cool in a very rare instance. He loses it when another child makes fun of Janet for having lost her hair right in front of him. Audiences will find themselves cheering Linus on and even doing so with the slightest tear in their eyes. That rare moment really exemplifies the pent-up feelings that not only children feel in a situation such as that presented here, but grown-ups, too. So for that reason too, the writing behind Why, Charlie Brown, Why? shows even more the importance of the episodes’ writing in whole in examining the set in whole. It is just one more example of the importance of the writing within each of the set’s episodes. The writing within each of the remaining eight specials shows in its own way why the writing in whole is so important to the episodes’ enjoyment and the success of the set in whole. And together with the episodes themselves, both elements together make a strong argument why every Peanuts fan should have this new collection in his or her own home DVD library. They still are just part of the whole of the collection’s positives. Last of note is the animation style within each episode. Both the episodes featured throughout the body of Peanuts: Emmy Honored Collection and the writing within each special makes for plenty of reason for Peanuts fans to appreciate this latest collection of Peanuts classics. Of course what examination of such a classic collection would be complete without mention of the specials’ animation style. Every one of the specials featured as part of Peanuts: Emmy Honored Collection was drawn by hand. That means that endless hours were spent bringing to leave each and every second of each special. Now being that each special runs roughly in the range of about twenty minutes (or just a little more in some cases), the math adds up to quite a bit of time spent on bringing each special to life for broadcast. That says a lot when these specials are compared to the largely CG presentations out there today that try to claim themselves as being animated. They are animated in name only. These specials show everything that was once great about true, animated features. Each one of the specials boasts a similar look. But there are also minute details within each special that set them apart. Audiences that have eagle eyes will catch that minutia. The same can’t be said of today’s CG creations. It really gives these classic specials a real soul and heart. Together with the episodes’ impressive writing and the episodes themselves all three elements come together to make Peanuts: Emmy Honored Collection a clear must have for any real devoted Peanuts fan. 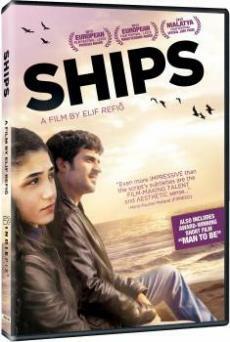 Earlier this year, independent movie studio Indiepix imported the Turkish foreign film Ships for American audiences. The movie, which originally debuted in its home country in January 2014, is quite the interesting work. Coming in at just over the ninety-minute mark, its script lies at the heart of its interest. The movie’s script follows a young man named Ali (Ugur Uzunel–El yazisi) as he ponders his life in the port town that is he calls home in regards to his own future, his relationship with his father, and much more. As the story, penned by writer/director Elif Refig, progresses, it becomes more than just a story ruminating on one’s place in the world but one that even boasts just the slightest amount of romance. Luckily that romance factor doesn’t overpower the movie’s main plot. Rather it plays into the movie’s overall plot, leading to a deep philosophical (and psychological) concept that will definitely have viewers talking after the movie ends. 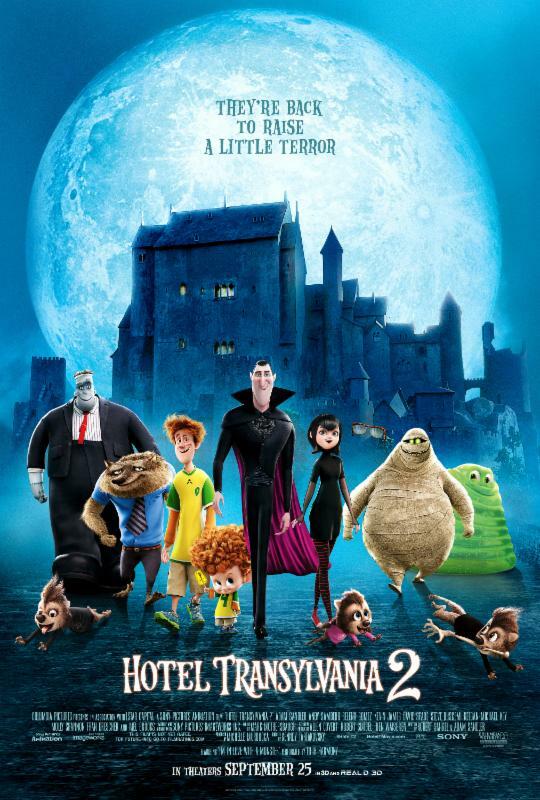 While the movie’s script plays a powerful part in its surprising enjoyment, it can’t be said that the movie is pefect. There is a clearly noticable problem with the movie’s sync. The movie is not dubbed in English. So this is not just the standard English voice actor dubbing over the foreign original. The audio and video is at the very least a good second and a half off from one another. To some this may not seem like that much. But it is noticeable. And while it doesn’t necessarily kill the movie (or the bonus short included with the movie–it also has a sync issue)it is a hindrance that must be noted. Having noted the painfully obvious issue with the movie’s sync (and that of the movie’s companion short film) that noted bonus companion short film adds even more to the movie’s overall presentation. That is the case even with its sync issue. It abrely tops the twenty-minute mark. But in the course of that time, it achieves plenty. And even despite it having its own syncing issue it still combines with the presentation’s main movie to make Ships a must see indie fick and one of this year’s top new independent films. Indiepix Films’ recently imported independent foreign film Ships is a must see for anyone wanting to escape the monotony of the material being churned out by Hollywood’s “Power Five Studios.” It is also one of this year’s best new independent movies. The main reason that it is worthy of holding both titles is its script. Penned by writer/director Elif Refig, the script behind this movie isn’t just some overly artsy forieng film that is artsy for the sake of it. Rather it balances that art film approach with a mainstream style story and presentation that is just as accessible to audiences as any human drama churned out by Hollywood’s “Power Five studios” in the last twenty years or more. The story that lies within the movie script follows Ali as he ponders his place in the world and comes to the realization that he needs to get out of his hometown and branch out. That realization becomes even stronger when he meets what will become his female love interest Eda (M. Sitare Akbas–Ada, Not Worth A Fig, Dila Hanim), who also feels the need to get on one of the boats (there is one in particular called the Vamos of which Ali dreams and thus thinks will be the pair’s ticket out of their town) and sail away. What is really interesting about all of this is that Refig flips the standard gender roles used in the movie’s American counterparts in the development of both Ali and Eda. Ali is a dreamer while Eda is something of a bad girl figure, painting graffiti, wearing the dark hood, etc. early on. And it is in fact her growing relationship with Ali that leads her, not him, to change. This is a subtle element of Refig’s script. But it is an element that proves quite interesting to those that pay close enough attention to catch it. Even more interesting are the philosophical and even psychological discussions that are certain to be generated by Refig’s script by the time the movie ends. It will raise discussions on whether Ali’s dreams about the Vamos were n fact real signs or if perhaps they were just the catalyst for the relationship between he and Eda that forms over time. It’s just one more of so many elements within the movie’s script that make the script so important to the movie’s success and enjoyment. There is potentially more that this critic might have missed in regards to the scripting. That aside, the elements that were in fact noted here and the expert manner in which Refig balanced each element within the body of the script shows even more so why the script behind Ships is so important to its enjoyment and overall success. For all of the positives that Ships’ script presents, it is painful to say that in watching this movie, the script is its one major positive. In other words the movie (and its companion bonus short film) does have a noticeable problem. Audiences will note that both the central presentation and its companion short film both suffer from a noticeable issue of the audio and video’s syncing. Before anyone gets upset, automatically thinking that it is just a dubbing issue, that is not the case. The cast’s speaking parts were not covered by English-speaking voice actors. Rather the cast’s speaking parts were handled via English subtitles. This makes it painfully clear that there is a problem with the movie’s syncing. It is not relegated to just those speaking parts either. The audio and video appear to be out of syn from the movie’s opening scene to its last. Some will attempt to argue that this is a non-issue since English-speaking viewers will probably spend most of their time reading the subtitles. However, the rebuttal to that argument is that even those audiences will still be watching the movie at the same time as reading the movie’s subtitles. This problem isn’t relegated to just Ships. It is just as obvious in the movie’s companion short film Man To Be. In defense of those behind both presentations, the synching issue doest not necessarily eliminate any reason to watch either film. but it does have a noticeable impact on the movies’ enjoyment. That being the case, both Ships and Man To Be are still worth at least one watch even with that painfully obvious issue thus leading again to the argument that Ships is at the very least one of 2015’s top new independent movies. It just can’t be said that it is the year’s best because of that issue. Ships is one of this year’s best new independent movies. This is even despite the noticable issue of its syncing between its audio and video throughout. It is so well worth the watch because of its largely original and creative script. Thanks to writer/director Elif Refig’s attention to detail, it proves itself to be anything but just another existential coming of age piece. Rather it is something much deeper that will keep audiences engaged throughout the course of its ninety-two minute run time. It is just one part of the whole that makes this movie worth the watch. The inclusion of its companion bonus short film Man To Be is one more reason that this presentation proves so powerful. Just as with Ships, Man To Be proves so enjoyable thanks to its script. The acting of its cast adds even more enjoyment to this deeply human story. It presents its young lead actor having to grow up very fast because of some very difficult situations. He lives at home with his mother, grandmother, and uncle, who happens to be a not so nice person. He plays a direct role in him becoming a man at a far too young age, as he is forced into situations to which no one at his age should be exposed. From seeing the girl he is crushing going off with his uncle, to having to save his uncle from some very bad men, to having to do his uncle’s dirty work trying to convince his grandmother to sell her house, the young man in this movie faces some very difficult situations. He is even forced to make a literal life and death situation in the film’s climax that no one will see coming. The ending won’t be given away, but he comes out okay. Though it can be said that as is evidenced in the film’s final scene how okay is debatable. It and the rest of the film will leave viewers talking just as much as they will in watching Ships. This being the case, the combination of both movies together makes Ships even more clearly a must see. This is despite both films suffering from a painfully obvious issue with the synching of their audio and video. Even with that problem noted, the movie’s scripts and the work of each movie’s cast together proves Ships in whole to be a must see for anyone wanting to escape the monotony of Hollywood’s endless lust for prequels, sequels, and reboots and in turn one of the year’s best new independent movies. Francesca Blanchard is not the most well-known name in the music industry today. But the French-born singer-songwriter is no stranger to the music industry. She has been writing music ever since her childhood. And in 2011, she released her very first recording, Songs on an Ovation. The record, a six-song EP, was released via Emote Records. Now a little more than four years after its release Blanchard will finally release her debut full-length studio recording for American audiences. The aptly titled Deux Visions will be released Friday, October 2nd via Vis-a-vis. 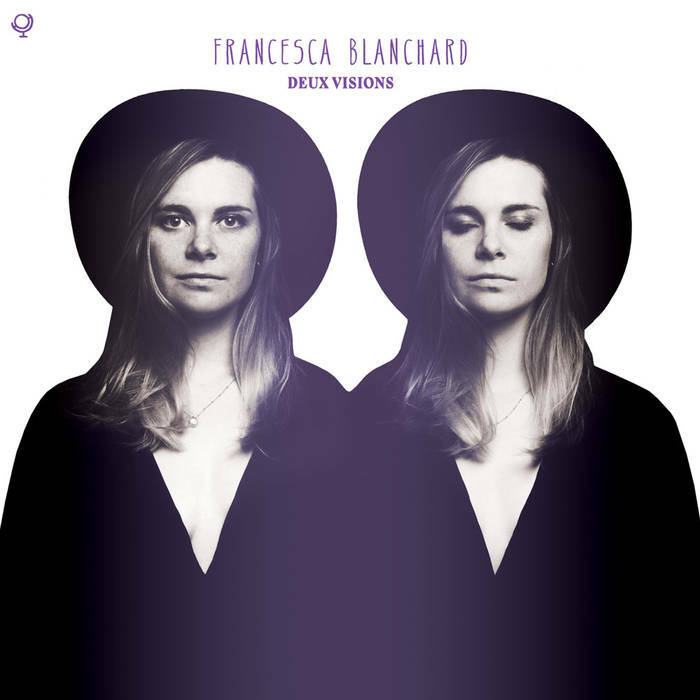 Deux Visions is such an aptly titled record because Blanchard presents both her French and American roots throughout the course of the album’s twelve total songs. She sings half of those songs in English and the other half in French. In doing so she is able to reach not just her French-speaking listeners but her American listeners, too. This is just one element of the album worth noting. In direct correlation to her dual vocal approach, the lyrics to each of her songs have been printed in the album’s companion booklet side by side in both French and English, too. Not only does this mean that she will reach both audiences even more but that she will also guarantee keeping her listeners engaged. She and her label made sure to not leave out anyone. And being that this record is her debut full-length recording that is an especially good choice. Having noted her dual approach to her debut album, the next logical element to examine in this record is the combined musical and lyrical content of her album in whole. That material in question is notable because it stands out from so much music from her more well-known pop counterparts. It stands out because it switches seemingly from song to song. And even the lyrical content of each of the album’s songs boasts its own depth in comparison to that of other female artists. The combination of that standout musical and lyrical content set alongside the previously noted albums leads Deux Visions to prove itself one more of the year’s best new world music albums. The official release date of Francesca Blanchard’s debut album Deux Visions is still roughly five weeks out at the time of this review. Even being so far out from its release it can still be said of her new album that it is one of the best of this year’s new world music field. It proves this in more ways than can be noted in one sitting. So this critic will focus on just a few ways in which it proves itself so impressive beginning with her performance of the album’s twelve total songs. Blanchard, who is French by birth but currently lives in Vermont, splits the album’s tracks right down the middle, singing half of the songs in French and half in English. She is not the only bi-lingual artist to use this approach. Colombian pop star Shakira uses a similar approach as do the men of Los Lonely Boys, kindie rock act Future Hits and others. While the approach that she takes is not exactly new, it does not make it any less important. That is because as with the albums released by the previous artists and acts, it shows an attention to detail so as to not alienate one listener base or another. What’s more, some of the aforementioned acts (and others) don’t always balance the linguistic approach on their albums as much as she has here. In many cases, the foreign language performances seem to take precedence over the English-language tracks. Though, it can be said that Future Hits come close as they go through their album Today is Forever first in Spanish and then repeat each song in English. While Blanchard’s approach isn’t quite at that level, the equal balance of French and English performances rather than a random slathering of French and English presentations ensures that audiences of both English and French backgrounds will be able to equally enjoy her new album so to speak. That is a solid foundation for her debut record. And it is just one level of that foundation, too. The presentation of the album’s songs both in English and French within the album’s booklet strengthens that foundation even more. Francesca Blanchard’s balanced, dual-language approach on her debut album Deux Visions makes for a solid foundation for this first effort. It is not the only element that allows this album to sit so strongly, either. Each of the album’s songs are printed both in English and French in the album’s companion booklet. This means for French audiences whose abilities with English might not be so strong will still be able to enjoy it just as much as those English-speaking listeners whose abilities with French are just as weak. Some might read this and ask why this would be so important. The answer here is simple. It is important because especially today, not every group, band, or act includes lyrics with their albums. That can easily lead to misinterpretation of lyrics in many cases. In the case of a foreign language record, not having lyrics greatly diminishes the interest that those not familiar with the album’s linguistic approach might have in the album. What’s more even those albums that do include lyrics are not always guaranteed to include translated lyrics for those not fluent with the featured artist’s/group’s/band’s language. It does not necessarily have to mean English, either. It can be any language. In the case of this album it just so happens that Blanchard has seen to it along with Vis-a-vis that the songs’ lyrics were printed in both French and English. This means that those English audiences not familiar the French language will be able to understand the lyrics to each song just as much as French audiences not familiar with English. What this means is that Blanchard’s French and English audiences alike will be able to take in her debut album in whole without worrying about missing out on any of it. Simply put, everybody is at the same level in listening to this record as a result. This takes the foundation established by Blanchard in her performances that much stronger. It is not the last element of the album’s success, either. The overall musical and lyrical content of Blanchard’s album sits atop the foundation set by her approach to the album’s songs and their presentation both on record and in writing in two languages. Both Blanchard’s dual-language approach to her new album both on record and in writing do plenty to make it an impressive first effort from the talented, young artist. 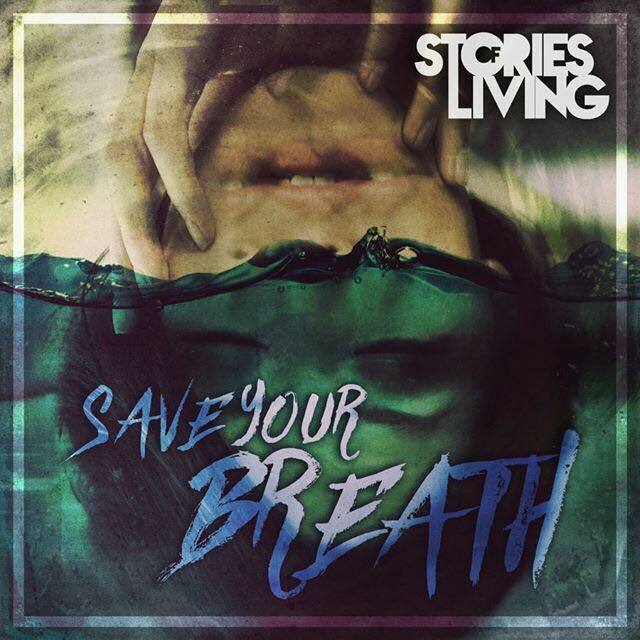 For all of their importance to the overall structure of this record, the actual content of the album in regards to its musical and lyrical content is just as important to its whole. In regards to both elements, Blanchard manages quite well to stand out from so many of her more well-known counterparts. Listening to the album’s musical content, the first comparison that this critic came up with was to Mazzy Star. That is at least in songs such as ‘Mon Ange,’ and ‘Rame.’ At other points, listeners can hear hints of Vanessa Carlton (at least in her vocal delivery style), Norah Jones (both vocally and stylistically) and others. The combination of such comparisons in regards to both Blanchard’s own vocal delivery style and the overall stylistic approach to her album’s songs shows its ability to hold its own against said artists. The same can be said of the album’s lyrical content. Each of the songs present lyrical content that can be best described as being deeply personal and just as moving. ‘Rame,’ the album’s opener is just one example of how the album’s lyrical content helps the album to hold its own both in the underground realm and against more well-known mainstream acts. Blanchard presents a subject that is in a very dark place. Yet being in such a dark place, her subject still holds out hope, singing that “All is not lost/No/All is not lost. In the case of this song, Blanchard uses the metaphor of a person out at sea in a sinking boat. Despite the situation looking hopeless, her subject receives a sign of hope; a sign that everything will be okay. It is definitely an interesting approach to the topic of maintaining hope and even a partially optimistic outlook on things in those dark times. ‘Le Blues’ is another good example of how the record’s lyrical content helps it to stand out. Blanchard writes in this song of how the blues make her happy. What is interesting about this is that she is not necessarily referring directly to the blues that many might think. She refers seemingly to the different shades of blue in the world as well as the blues as a musical style. The gentle tones of the song’s piano line and the song’s overall somewhat jazzy style accent those lyrics so well. The combination of her play on words and the song’s musical content makes this song yet another prime example of why Deux Visions lives up to its title. ‘Papa…Pere’ is one more example of how the lyrical content of Deux Visions makes it such an original, standout recording for Blanchard. This deeply emotional piece presents Blanchard’s subject apparently singing to her father. It is inferred as she sings, “I looked up at the sky/And I said your name/Papa…Father/Where are you/And that’s when I saw you/Your star/Dancing across the sky/Flying over the atmosphere’s horizon/And just like that you heard me/And you came to me/Papa.” This is just one small portion of the song’s lyrical content. 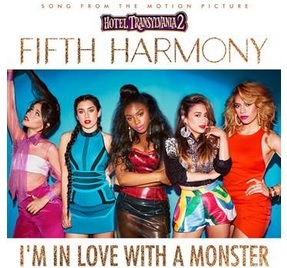 But it is a strong example of why this song helps to make the album in whole stand out. Those lyrics (and the rest of the song’s lyrics) alongside its gentle musical backing will move to tears every person that hears it. Any person that is not so moved is either heartless or not human. It is just one more example of how the combination of Deux Visions’ lyrical and musical content together serves to make it a standout recording both against music produced by Blanchard’s more well-known counterparts and for herself. Together with the presentation of its songs in both French and English both musically and on paper, all three elements show without argument why Deux Visions is a solid start for Blanchard and why it is also one of the best of this year’s new world music records. 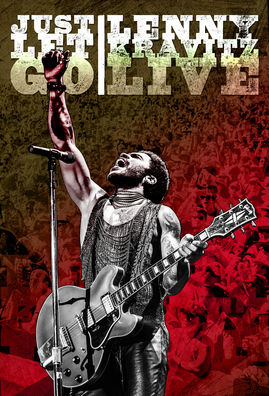 This fall, Shout! Factory will resurrect another piece of hidden television history that was long thought forgotten when it releases the short-lived ABC action-comedy Automan. Shout! 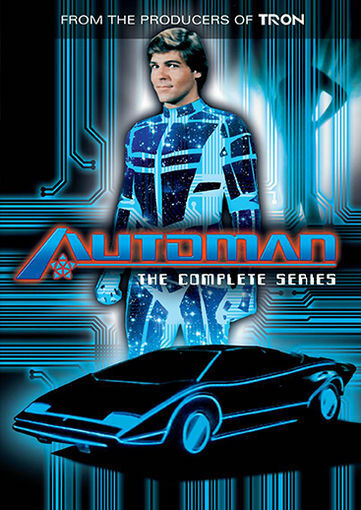 Factory, in partnership with Fabulous Films, will release Automan: The Complete Series on Tuesday, November 10th. The 13-episode series originally ran on ABC from December 15th, 1983 to April 2nd, 1984. It starred Desi Arnaz, Jr. (The Lucy Show, Here’s Lucy) in the series’ lead role of Walter Nebicher. Nebicher was an IT professional with dreams of being more than just a tech man for his local police department. Though, his superiors have other ideas. So he creates the artificial intelligence program Automan (Chuck Wagner—General Hospital, All My Children) to help fight crime in his city. Automan is accompanied by a small, floating droid named Cursor much as Clu did in Disney’s surprise hit 1982 movie Tron. Speaking of the similarities between Automan and Tron they are not coincidental. Automan was co-produced by Donald Kushner (Tron, Tron: Legacy). Automan: The Complete Series will be accompanied by a handful of extras for even more enjoyment including a forty-two-minute documentary titled: “Calling Automan – The Auto Feature,” which includes interviews with series stars Chuck Wagner, Glen A. Larson, Desi Arnaz, Jr., and heather McNair. There will also be a feature focusing on “The Story of Automan,” a trailer for Manimal: The Complete Series, which will be released alongside Automan: The Complete Series by Shout! Factory and Fabulous Films, a number of picture galleries and more. The complete list of bonus features included in Automan: The Complete Series is noted below.